Happy Patient gets a new smile dental makeover! 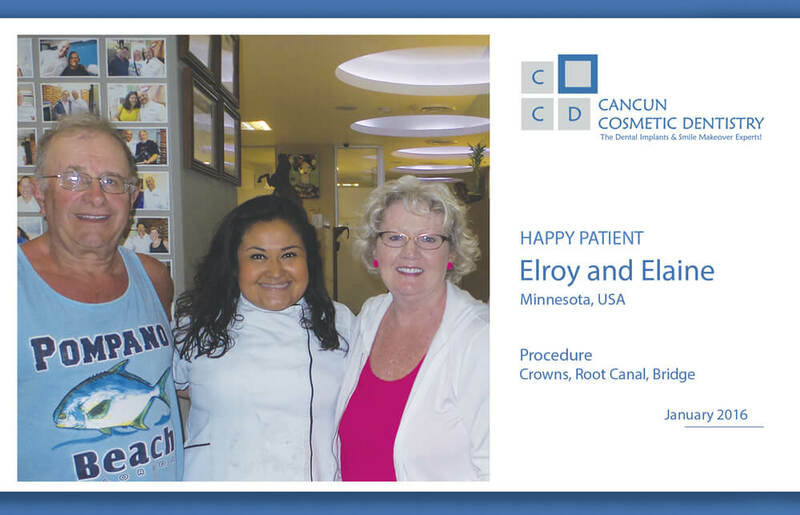 You are here: Home / Blog / About Cancun and the Mayan Riviera / Happy Patient gets a new smile dental makeover! Elroy’s dentist must have realized we use the same type of high quality dental materials as the dentists in United States, approved by the FDA. We also have first-class facilities with 6 separate dental units to give you as much privacy as we can to make you feel at ease. Elroy was just delighted to come to Cancun and get away from the cold. Even if this winter has been slightly mild in most the USA, there’s nothing better than the Caribbean sun to relax. If you want to know more about what our dentists in Cancun Cosmetic Dentistry can do for you call toll free from USA and Canada 1-800-701-6039, or if you are already on vacation in Cancun and want to meet us, you can call us for an appointment at the following local number (998) 1-40-51-25. Grace is very happy with her new dentist in Cancun! Affordable Dental Cleaning in Cancun! Are you a candidate for dental implants and sinus lift? Get your dental cleaning on your vacation in Cancun! Happy Patient solved his dental problem during his vacation in Cancun! The future of dental filling materials?